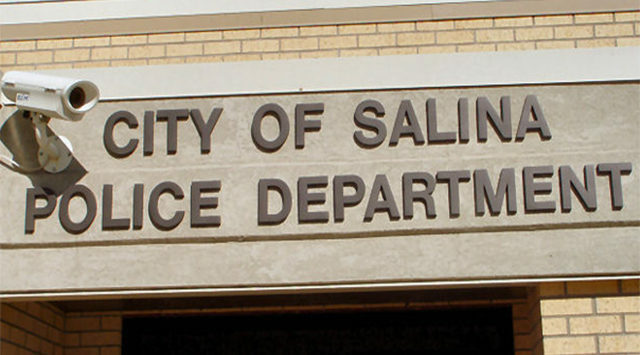 Salina Police were called to the Ambassador Hotel, 1616 W. Crawford early Tuesday morning after a woman ran to the desk clerk for help. Police Captain Paul Forrester tells KSAL News that 27-year-old Kristofer Dillon of Clanton, Alabama was arrested for aggravated domestic battery and criminal threat after a 21-year-old female hid behind the desk as the clerk called police. Captain Forrester says officers had visited the property for a reported verbal dispute between the two earlier – but Dillon had left. When he came back he tried to strangle the woman as she yelled for help. At one point she said he told her to top yelling or he would kill her, then pushed her on the bed and choked her from behind as he laid on top of her. She escaped his grasp as he planned to take her to his car that parked a block away. Police say she was shaken and bleeding from the lip when they arrived. Officers arrested Dillon a short time later when he returned to the hotel.